Mark and Hannah have a love truly like any I have ever seen. Their wedding was at the Mountain View Manor in Washington State. A beautiful property with Mt Rainier sitting in the background of the alter out in the lawn. I’ve shot here before, and the day was sunny and HOT. Not for Mark and Hannah though. The morning of their wedding we watched the forecast to see a huge storm rolling in. Most brides would be freaking out, but not Hannah, she just kept saying how excited she was to marry her person. And thats what she focused on. Her calm demeanor was inspiring, and we went about the day as if the sun was shining. Their first look brought me to tears, as Mark was completely speechless, and could hardly hold back his tears as he smiled at the girl he had loved for so many years, just hours away from becoming his wife. Their ceremony was my favorite part of the entire day. All they had rehearsed, now revolved around this storm setting in behind them. A few raindrops came down during their ceremony, and almost instantly we were in a downpour. Hannah and Mark were just completely beaming with JOY as the rain came pouring down on them and their guests. 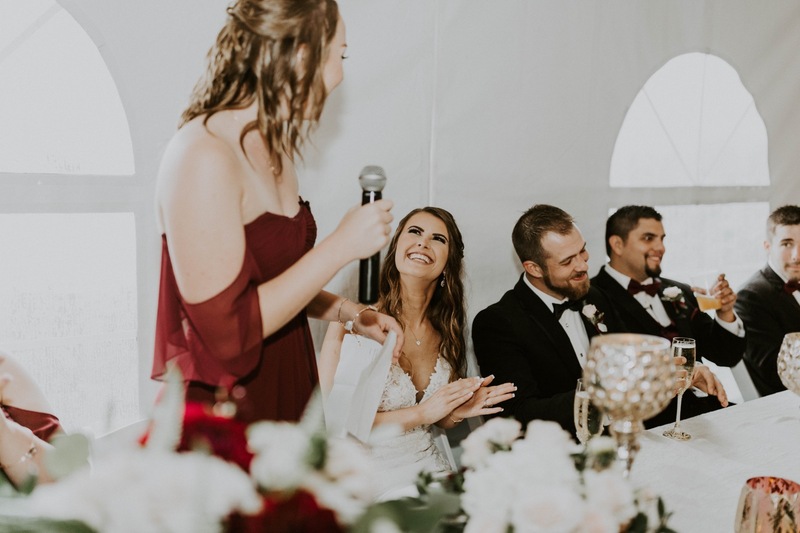 All I could feel was the adrenaline pumping through my veins, and I was smiling and laughing AND LEAPING as they kissed, their family clapping and cheering alongside me, and they danced down the aisle in the pouring Washington rain storm. I’ll never forget their wedding day. Not because of the storm, but because of their love. They couldn’t have cared less about the rain, intact it seemed almost thrilling to them. They danced the night away with their closest friends and family, and took off for their honeymoon cruise through Europe. I love these two SO much. I’m so blessed to have been apart of their absolutely beautiful day.